Calgary, Alta. 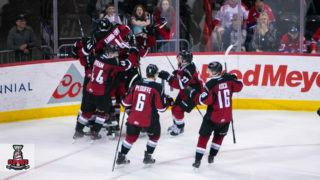 – The Western Hockey League will be staging a WHL Leadership Conference in Edmonton on Thursday, August 9 and Friday, August 10 in conjunction with the Hlinka Gretzky Cup and the Centre ICE Summit. 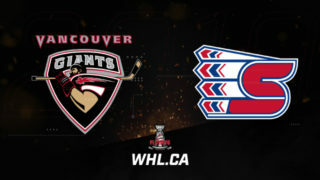 With world-class development as an ongoing priority for the WHL and its 22 member Clubs, all WHL General Managers, Head Coaches and other members of their hockey operations and coaching staffs, will be in attendance to participate in the two-day conference which will include a series of information sharing and educational sessions. The focus of the WHL Leadership Conference will be on making further enhancements to the WHL’s world-class player experience and to review a number of new hockey operations and development initiatives prior to the start of the 2018-19 season. The WHL Leadership Conference will provide those in attendance with an outstanding professional development opportunity featuring NHL General Managers and Head Coaches, along with leading instructors at the international level. 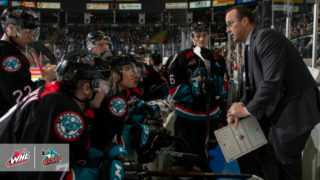 The WHL Leadership Conference provides an unparalleled opportunity for WHL General Managers, Coaches and Officials to engage with some of hockey’s most talented and knowledgeable individuals as they continue to develop in their respective areas of responsibility. The WHL Leadership Conference will feature presentations from three NHL General Managers, including Kevin Cheveldayoff (Blaine Lake, Sask. 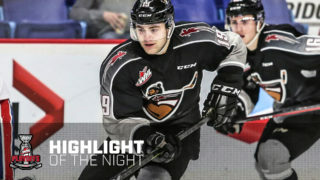 / Winnipeg Jets / Brandon Wheat Kings), Brad Treliving (Penticton, B.C. / Calgary Flames / Brandon Wheat Kings) and Peter Chiarelli (Nepean, Ont. / Edmonton Oilers). 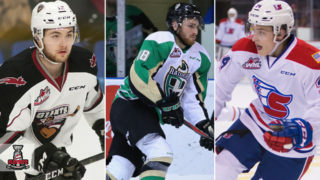 In addition, three NHL Coaches with previous WHL playing and coaching experience will present, including Mike Babcock (Saskatoon / Toronto Maple Leafs / Spokane Chiefs), Todd McLellan (Melville, Sask. / Edmonton Oilers / Swift Current Broncos) and Glen Gulutzan (Hudson Bay, Sask. 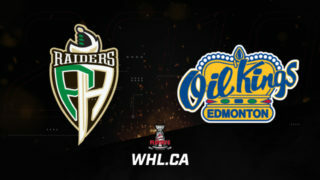 / Edmonton Oilers / Saskatoon Blades). Members of the WHL officiating staff will also be participating in development sessions during the Centre ICE Officiating Summit. Twelve WHL referees and linesmen, along with other officials who will be on ice during the Hlinka Gretzky Cup, will be attending special on-ice and classroom seminars conducted by the IIHF, NHL, Hockey Canada and the WHL. WHL Officials will hear from former NHL Referee Tom Kowal, who was recently appointed as the WHL’s new Officiating Development Coach, while the General Managers will have a session with newly appointed WHL Director, Player Safety Kevin Acheson. Acheson will be responsible for all game-related discipline matters starting this upcoming season. The Centre ICE Summit is a gathering of leaders from the global hockey community, including representatives from the International Ice Hockey Federation (IIHF), National Hockey League (NHL), Hockey Canada and the Western Hockey League (WHL), which provides an opportunity to further promote the development of the game both in Canada and internationally. The Centre ICE Summit will coincide with both the 2018 and 2020 Hlinka Gretzky Cup in Edmonton.